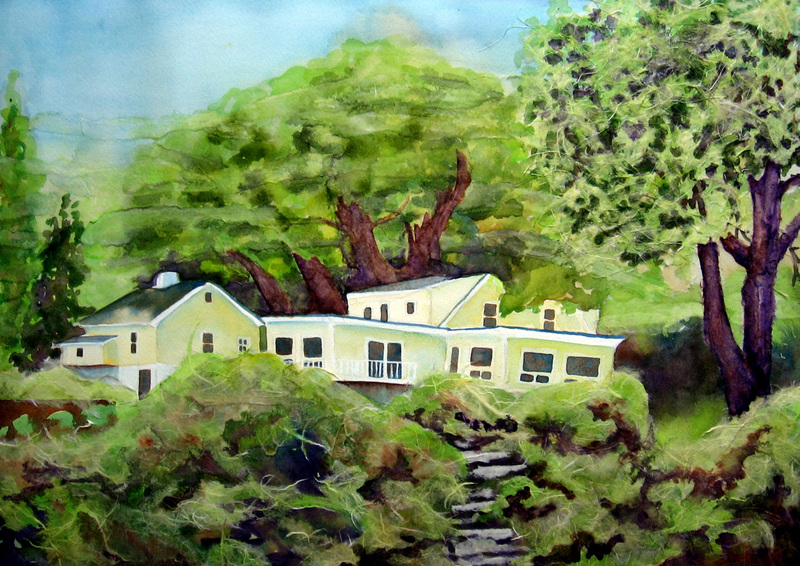 The Yellow House 2: A do Over! 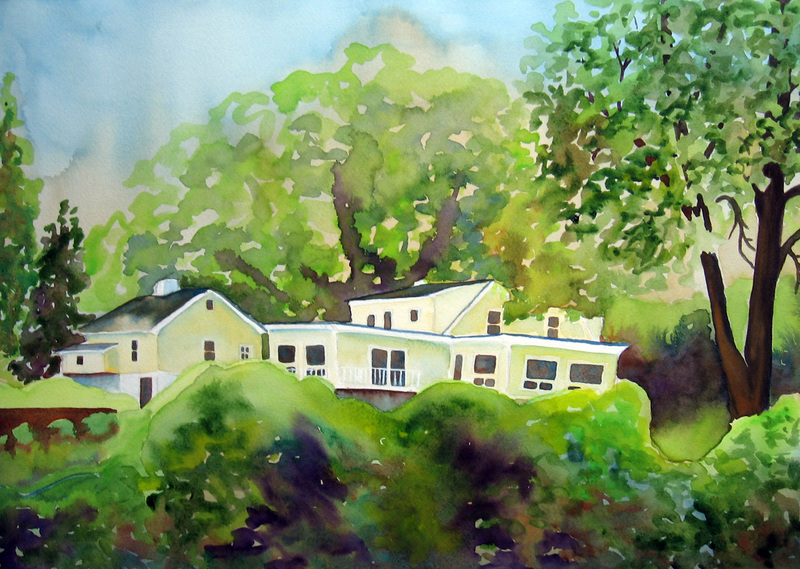 This is “Yellow House” the first version. I posted it earlier on my blog. I takes me a great deal of time to create these. They are never what I set out to create. They happen on the paper. I am still in the process of learning about the different rice papers and what the pigment does on them. 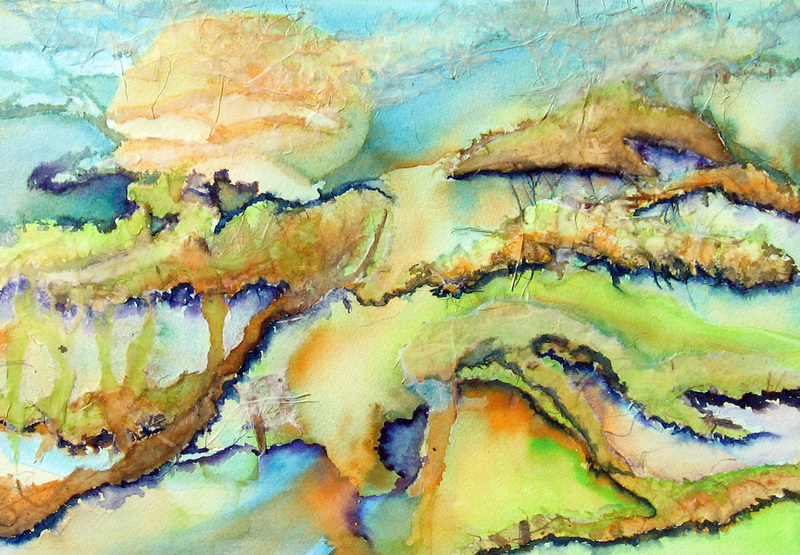 I like going along the edges with my brush and a dark color, most evident in the top painting. I also like washing a transparent color over what I have created to accentuate a mood, most evident in the second painting. 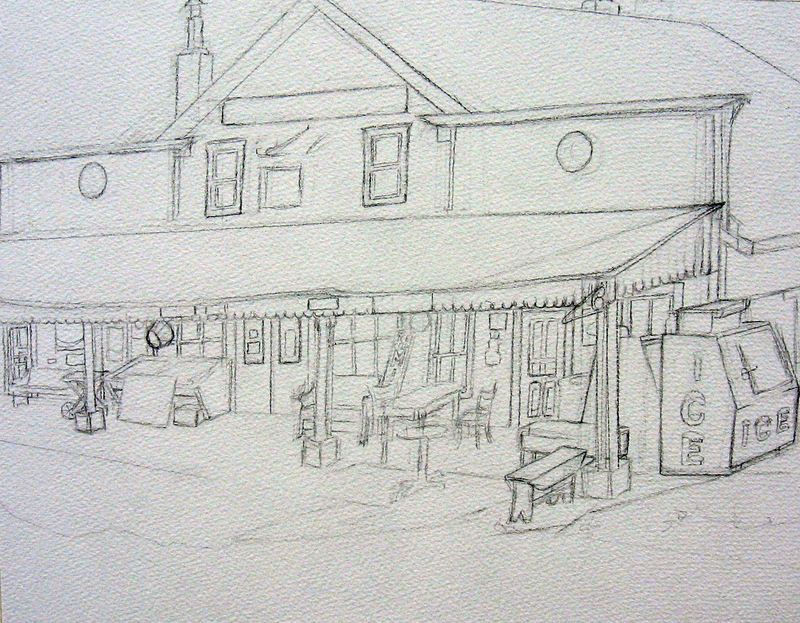 As I worked on this I tried to finish them toward the vision I saw coming from the design on the paper. 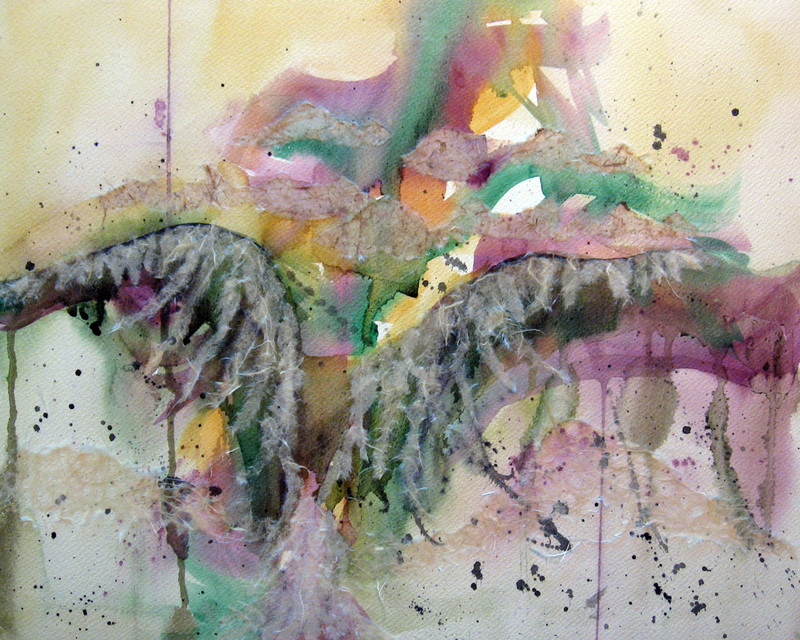 The first one I titled Glacial Remnants and the second one, Canopy. I love this way of working. 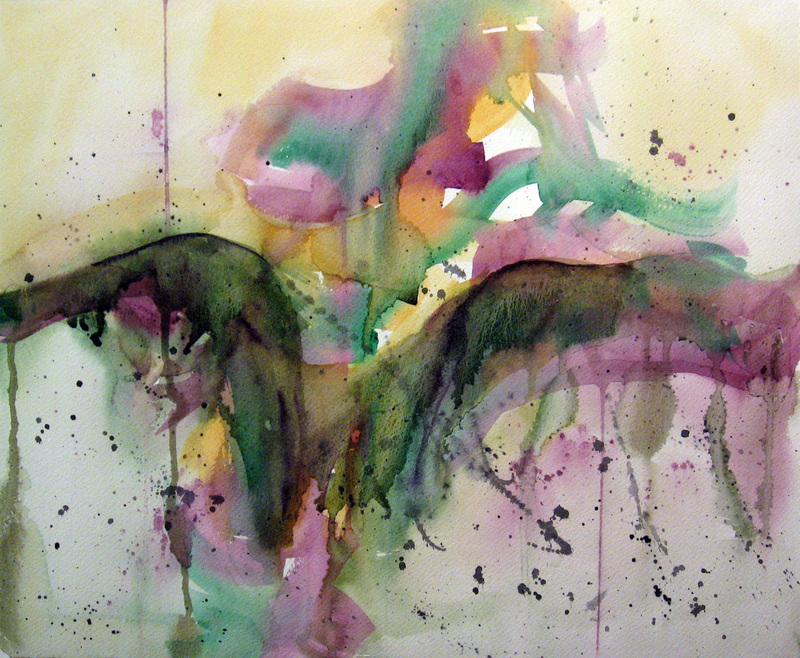 It is as though I am immersing myself in the art and the materials and allowing them to help me work a vision forward. 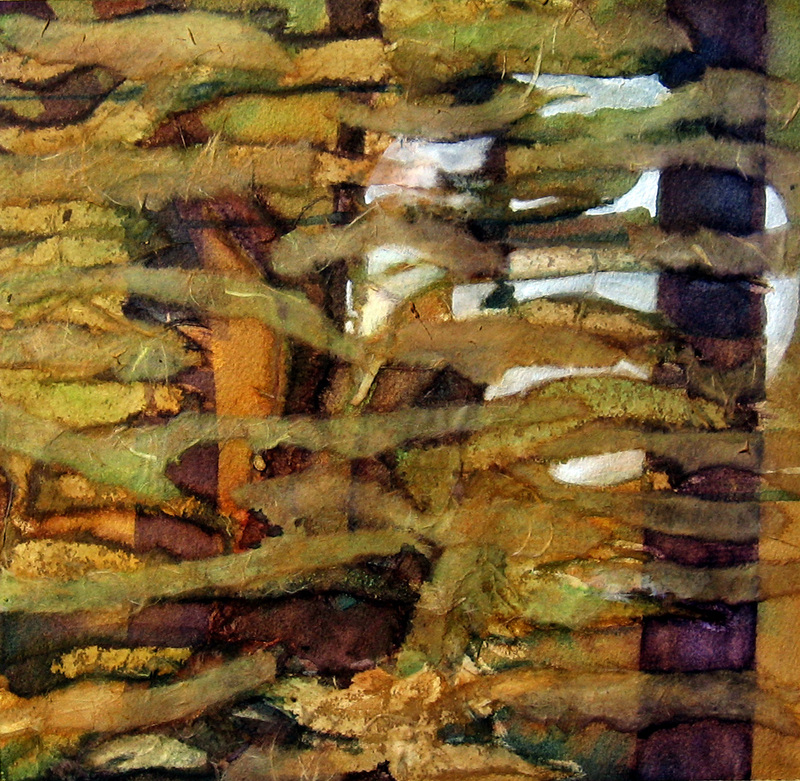 The above painting was created with the use of textured rice papers, watercolor, ink and white goauche. It is an attempt to begin a watercolor and rice paper collage in the same way as the previous post here. While working on it, we were to search for something recognizable and bring it forward without the use of a photo reference. We relied only on the imagery we saw appear before us and created from that imagery. The above is my cruciform design that I started with. I splattered and encouraged dripping. At this stage, I was seeing two mountainous forms with a valley between. I glued down some torn pieces of rice paper using the water and acrylic matte medium mixture. I fully intended for them to take the shape of craggy cliffs because that is what I saw, at this stage. 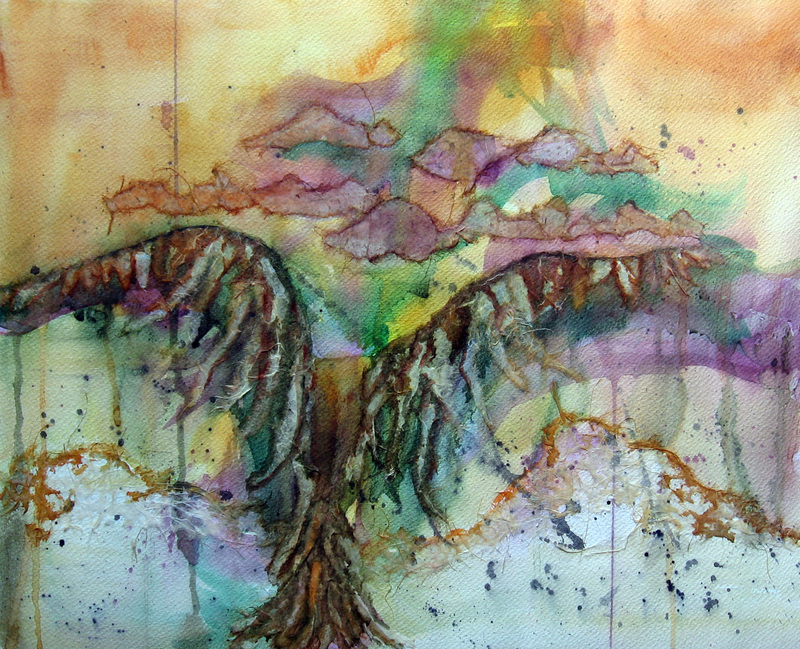 As I added another layer of paint, however, the image that began to appear seemed to be a giant bird form. 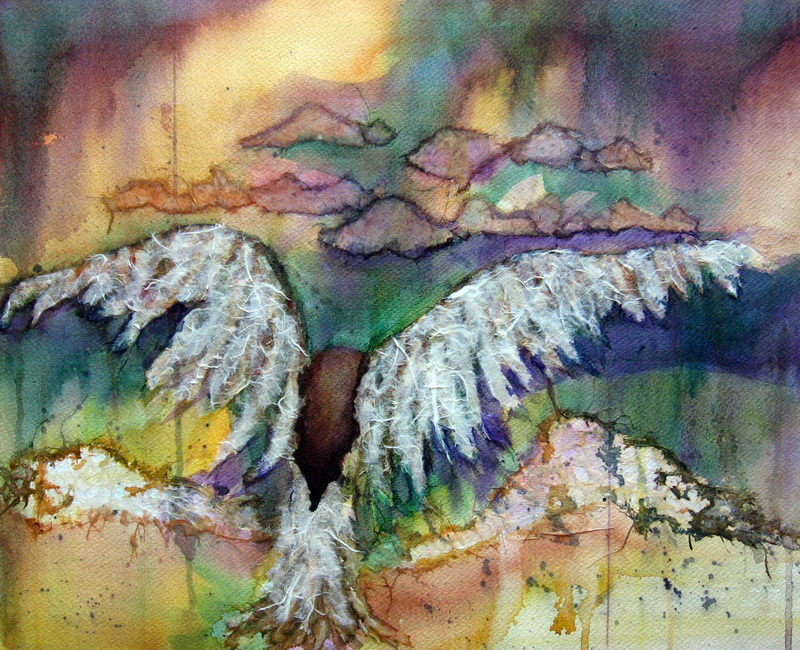 I added more rice papers to fill out the wings and began feeding large drippy washes of a dark sky in the background. I remembered something about condors from Big Sur Kate’s blog and how they were endangered and now protected and decided to finish it with that thought. I deepened the sky until I was satisfied with it and played around with lifting and glueing some more cloud formations in. 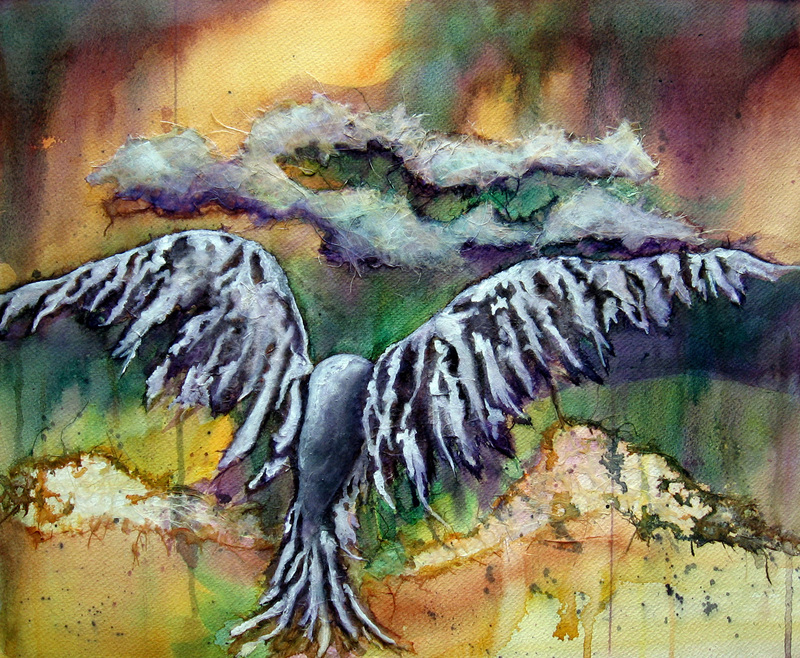 The condor was created withloads of different torn rice papers, watercolor, ink and white goache to make him appear a little more ghostly. Others I have created in this manner are here, here, and here.